Two years ago, I wrote one of my most popular posts, discussing some of the common grammar mistakes we tend to make. As a marketing professional with some experience in the editing world, I have definitely seen my share of grammatical errors, and have even been guilty of a few myself! 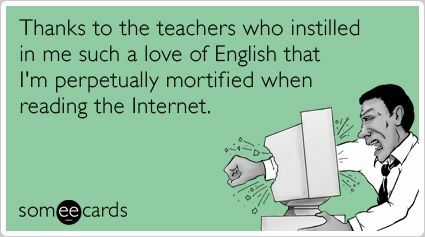 This week, I wanted to share a few more of my grammar pet peeves and some of the lessons I have learned throughout the years. Feel free to include some of your own in the comments below! 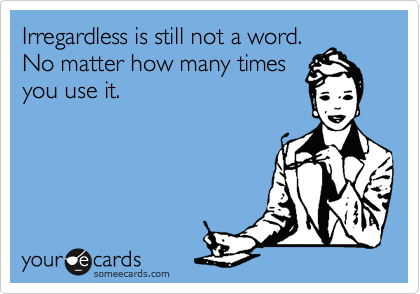 While both “less” and “fewer” seem to mean the same thing, they are used in different ways. “Less” is used in relation to quality, while “fewer” is used in relation to quantity. I am less satiated than you are, because I have eaten fewer candy bars than you have. I do not have less candy bars. I notice that a lot of people will drop the “d” in “supposed to,” and not just as a typo. Use “suppose” as a verb to mean to presume or to expect, but if you “have to” do something, then you are “supposed to” do that thing. 3. “Conversate” is not a word. This fake word comes up in a lot of songs, but the verb version of conversation is “converse,” not “conversate.” When in doubt, use “discuss” instead. 4. If you’re “apart of” something, you’re not really a part of it. “Apart” implies that two things are not together, so when people say “apart of” when they are describing group membership (ie: “I am apart of the school band.”), they are actually removing themselves from that group. You are “a part of” a group. If you’re removing yourself from that group, you may be “apart from” it. 5. “Who?” or “Whom?” That is the question. 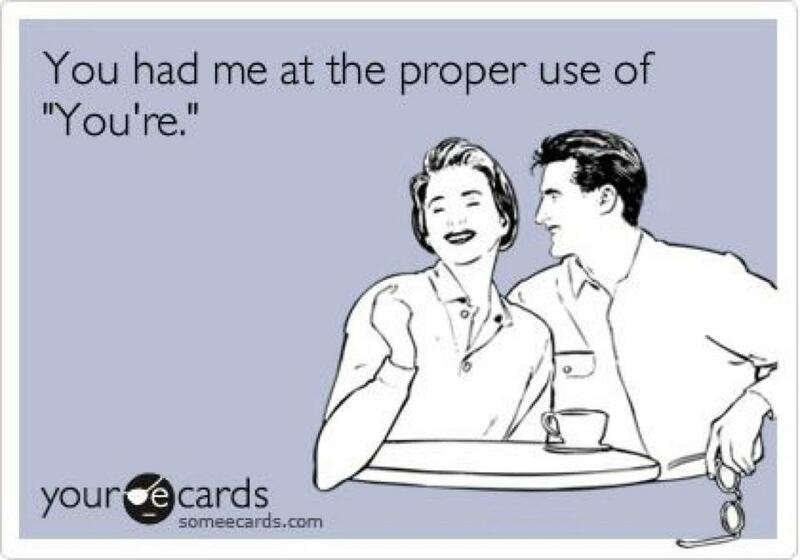 What are some of your grammar pet peeves? Very, very helpful. Many people could take a lesson from this. Thank you so much! 🙂 I’m glad you think so!